it's time to let love shape your life. Every one of us is on a journey to the soul. You crave belonging. You ache for significance. You yearn for connection. You're looking for LOVE, the kind of divine waterfall that will fill up all the cracks and make you whole. Maybe you struggle with the line between compassion and boundaries. Maybe you wrestle with responsibility and freedom. Maybe you can't find the agreement between authenticity and expectation. You want to feel powerful, strong, and capable. This is the curriculum of life, electrified. 1. No, really, start HERE. Before you can step into the life you're meant to live, you have to tune into your soul. Consider this to be Soul TV, broadcasting live from your heart into your inbox. Join us weekly with the Glowing Soul newsletter, chockfull of self-development ideas and tips you can really use in your every day life. 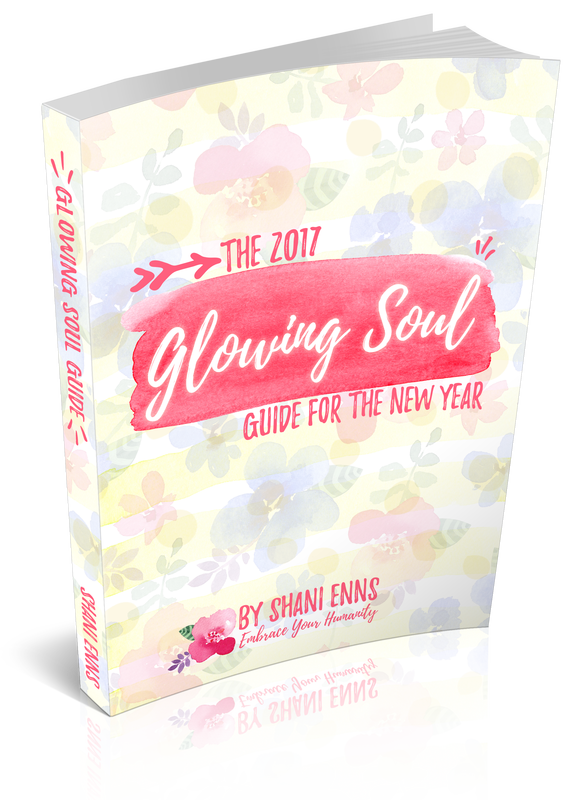 A brand-new release for 2017, The Glowing Soul Guide for the New Year is your handbook to self-discovery and self-improvement. This 100+ page journal workbook gives you all the tools you need to reflect on the past year and dream big for the new year in every area of your life, personal and professional. Programs of self-discovery (alone or in groups) are awesome, but sometimes you just. need. more! Personal sessions offer one-on-one time to dive as deep as you can, as fast as you want. Peel back the layers of static so you can experience your brilliant shine of being. I cannot say enough about what Shani can bring to your life both personally and professionally. I use her to help me deal with chronic pain and I can honestly say that this is the best year I have ever had. I look forward to every time I see Shani and cannot find the words to express how important it is to give her and her services a try, you won't be sorry.